All the tips, tricks and gadgets you need to stay alive and spy on all your neighbours. Being a spy is dangerous work. But this mini kit might just help you survive. There’s a fake ID card to get you into places. 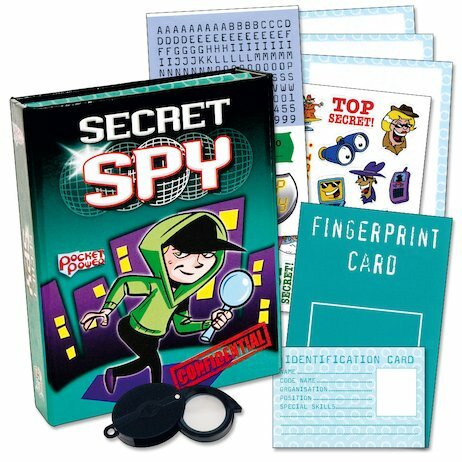 A fingerprint card and magnifying glass (never miss a clue). 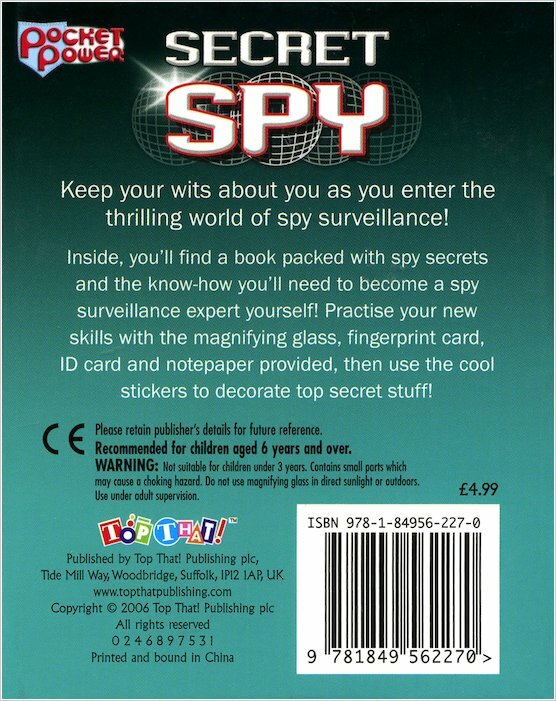 Plus a booklet of spy tips, and stickers just for fun. Crack codes. Go undercover. Spy like a pro.